Apophysis is a free Windows program for designing and rendering fractal flames, available from SourceForge . 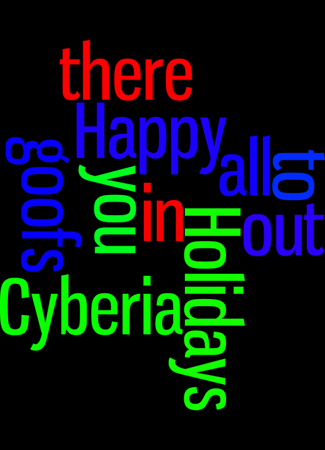 Learned about Wordle via cygnoir. 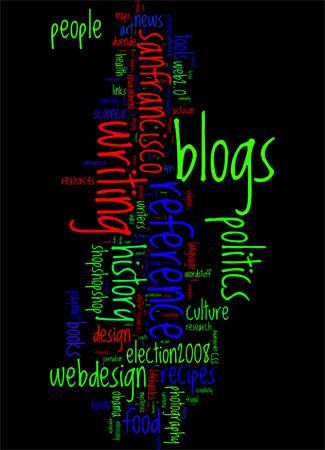 Played with it with my Delicious bookmarks as the resource. Saved the Java applet results with CutePDF Writer, then pulled the PDF into Photoshop, messed with it and saved it as a .jpg. Reverse Graffiti Project, April 2008, Broadway Tunnel, San Francisco. Brilliant, but … if the work hadn’t been pretty, it would’ve been just as snarly as those folks who spray paint crappy letters on walls. Good ad for the green cleaner used. Below is yet another tax plan analysis chart, this one from Freakanomics. This graph is weighted to show the percentage of tax revenue from each group and whether that percentage will rise or fall under each plan. Tax Plans (that’s one for you, nineteen for me). 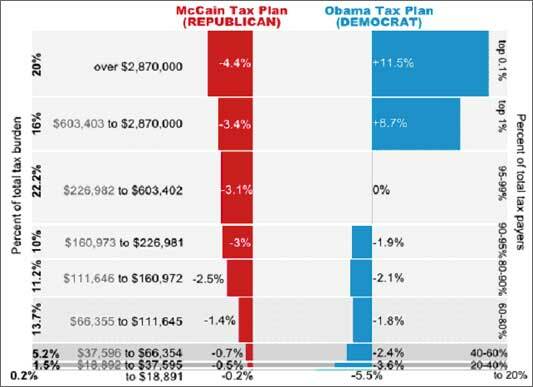 From Viveka Weiley at chartjunk, a rework of the McCain/Obama Tax Plans chart (that’s one for you, nineteen for me) showing the differences between the Republican and Democrat tax cut proposals.